A powerful pocket guide for practitioners that distills all of the research and materials found in Otto Scharmer's seminal texts Theory U and Leading from the Emerging Future. 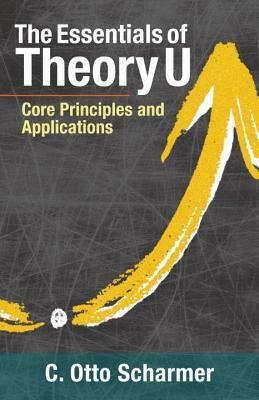 This book offers a concise, accessible guide to the key concepts and applications in Otto Scharmer's classic Theory U. Scharmer argues that our capacity to pay attention coshapes the world. What prevents us from attending to situations more effectively is that we aren't fully aware of that interior condition from which our attention and actions originate. Scharmer calls this lack of awareness our blind spot. He illuminates the blind spot in leadership today and offers hands-on methods to help change makers overcome it through the process, principles, and practices of Theory U. And he outlines a framework for updating the "operating systems" of our educational institutions, our economies, and our democracies. This book enables leaders and organizations in all industries and sectors to shift awareness, connect with the highest future possibilities, and strengthen the capacity to co-shape the future. C. Otto Scharmer is a senior lecturer at the Massachusetts Institute of Technology and cofounder of the Presencing Institute and the MITx u.lab. He received the Jamieson Prize for Excellence in Teaching at MIT and the Leonardo European Corporate Learning Award. —Eileen Fisher, founder and Chairwoman, Eileen Fisher Inc.